Water may not sound as such a hazard like fire for example, but it's actually one of the most powerful elements of nature and as such, it can cause some serious damage. When an indoor flood occurs, it is important to remove all the water as quickly as possible in order to minimize the damage it will cause. Here's some more information about water damages and how emergency water extraction and dehumidification can help restore the flooded area. When water is left standing it will be absorbed by materials such as wood, drywalls and even cement and will damage them, the extent of which depends on the length of exposure. In extreme cases water can weaken foundations and compromise structural integrity of buildings. Additionally, when walls get soaked and humid, water can also cause damage to electricity, short circuit the building's electrical system, and even cause electrocution. Furthermore, failing to drain the water and neglecting it for too long will allow it to develop into fungus and mold that will also affect the air quality and the health of the occupants. When your home or business suffer a flood, you should immediately call for emergency water extraction services in order to solve the problem quickly and not to allow it to cause more serious damage. 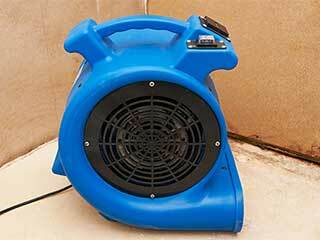 Dehumidification will help save items that can still be saved such as wooden furniture. Additionally, it will dry the area and prevent the water and humidity from developing into mold. Why Hire Professionals to Do this Job? Professionals are usually experienced and familiar with flood situations, the risks that might come with them, the damages they can cause and the best solution to this condition. Additionally, professionals will have powerful equipment that will allow them to drain the water and dry the humidity as soon as possible, so they will probably prevent more damage. Our company has over a decade of experience in duct cleaning and our technicians are all professionals, hired to provide each and every customer with the best solution and high-quality work. For more information about our services and experts please contact us at Duct Attic Cleaning Experts today!